Woodly produces furniture, lamps and furnishing accessories in a zero impact, sustainable fashion. Our research for a correct production led us to using the newest methods and, sometimes, to rediscovering the oldest ones. We use raw materials that are renewable, biodegradable and not toxic. To us “sustainability “ is achieved through different actions, each one having at its center the idea of balance, to be able to give as much as we take through economy, environment and man. Every day. Our philosophy is to keep an high product quality level, giving to the word “quality” its most extensive meaning: ecological materials, energy conservation, long duration, non toxic glues and finishing, and great attention to every detail of the project. 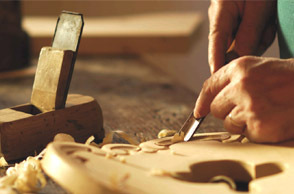 We try to reduce to the minimum the number of elements for each piece of furniture, and the type of materials we use. All the components are efficiently designed to have the least possible waste. All our products exploit at least 90% of the basic material, and we keep upgrading our manufacturing process so to have less discards. 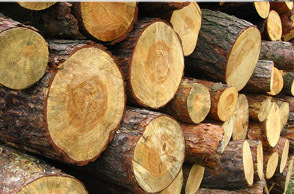 Our wood processing machineries are last generation, CNC, numerical control ones, that optimize time, work and waste cut. Finally, production waste is burned in an extremely high efficiency “rocket stove” to warm up the workshop. Materials For our production, we only utilize zero-formaldehyde, certificated solid wood or plywood, coming uniquely from forests that are dealt with in a responsible and sustainable way, and eco-compatible materials, without noxious substances or solvents. 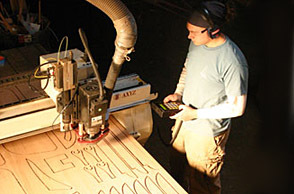 Just like the birch plywood Koskisen produces and will supply us with. Finishing Oil finishing, without inorganic compounds or other toxins: linseed oil, citrus extract oil or carnauba wax. We only use non toxic, water glues, which all match the strict E1 (Europe) and California (USA) standards for emission regulations, and non toxic, zero HAPs (Hazardous Atmospheric Pollutants) water paints. Product Life Cycle All our products are intended to last in time and through generations, due to the high quality of manufacturing and materials. Moreover, they are as well meant to be as versatile and multi-purpose as possible, thanks to an evergreen design. Local We try to produce as much as possible locally. We are committed to help, support and revitalize local communities, firms and traditions.